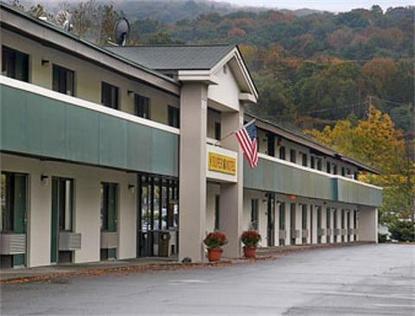 The Super 8 White River Junction is conveniently located just off of the two major throughways of scenic Vermont, I-89 and I-91 which provides easy access to all Vermont attractions and the New Hampshire Mountains. Killington Ski Resort is only a 40 minute drive where you can enjoy the best skiing in the east during the winter months or great golf, hiking and mountain biking in the summer. The Super 8 is just minutes from Dartmouth College, Dartmouth Hitchcock Medical Center and the VA Hospital. Enjoy nearby Quechee Gorge for fantastic shopping and awesome natural spectacle of the gorge.We provide free high speed wireless internet, complimentary SuperStart breakfast and guest laundry facilities. Our rooms feature 24 inch satellite TV with premium sports, news and movie channels, AM/FM alarm clock radios and hair dryers. We also have a Outdoor Pool that is Seasonal. Our friendly, professional staff is here to serve you 24 hours a day.